Arrival, meet and greet at the Airport, transfer to Dhow Palace Hotel (or similar hotel). Check inn for two nights in a double room, (sea/ pool view room) on bed and breakfast basis. Morning, after breakfast, at 09:00, guided stone town tour; stone town was declared as world heritage site by UNESCO. 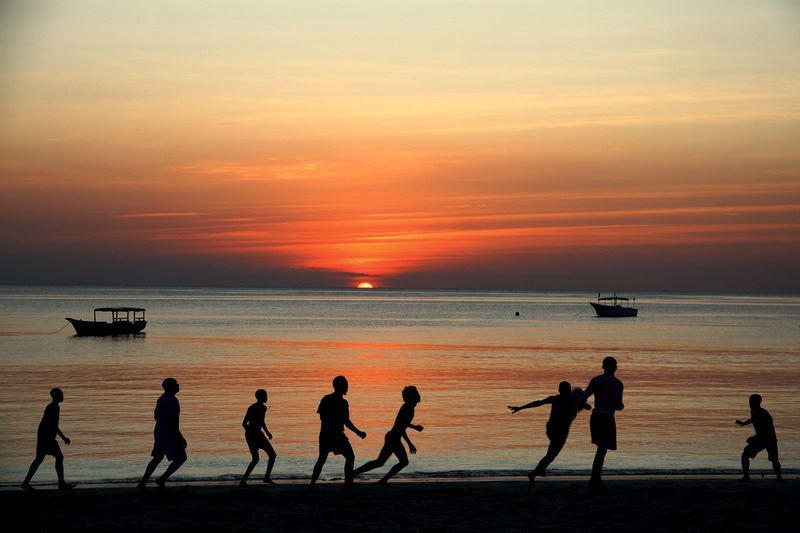 With our guide you will walk on the footsteps of Arab Sultans of Zanzibar. Discovery of the wonderful labyrinths of Zanzibar, visit of the historical sites, presentation of the Zanzibar doors, their roles and significance. Return to hotel at noon. Morning, at 10:00, depart from Dhow Palace hotel to Swahili Beach Resort (Or similar hotel). Swahili Beach is a hotel located in southwest of Zanzibar island. Jozani forest en route. discovery of trees� species, mangroves, red colobus monkeys, and other animal species. Check inn for two nights at Swahili Beach Resort (Cabana room) on half board basis.